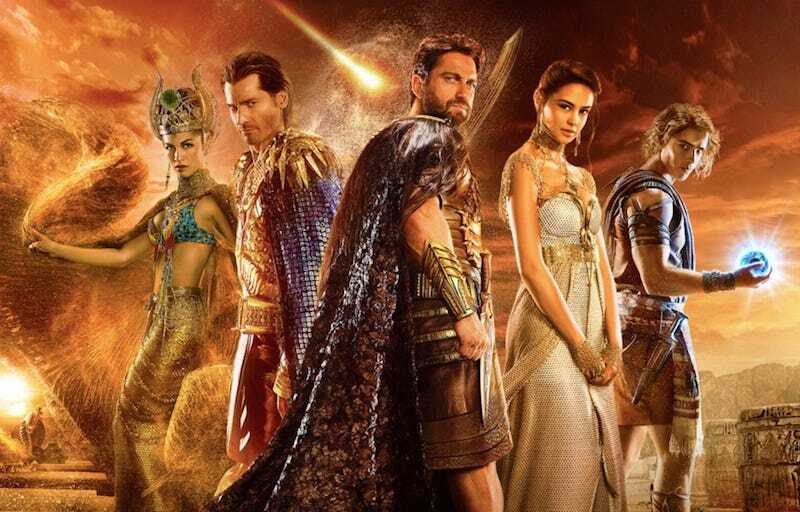 Guys, I’m getting a little worried about Gods of Egypt’s commitment to historical accuracy. This new clip from the movie, opening this weekend, features the Egyptian god Set (played by a Scotsman) talking to the also ostensibly Egyptian god Ra (played by an Australian) on what appears to be a spaceship. In space. Now I know Gods of Egypt has come in a bit of controversy for its casting, since Denmark’s Nikolaj Coster-Waldau seems to be the star closest to being an actual Egyptian (geographically speaking, of course). But, uh, this is a spaceship. I guess maybe the moviemakers are going for a “gods as aliens” kind of thing? Like Marvel did with Thor? And maybe that’s why these Egyptian gods are all Space Caucasians? And I guess all of the actual Egyptians from history never bothered to write down these rather striking details about their divinities? I guess it makes as much sense as any other aspect of Gods of Egypt. It still doesn’t make it any better, though.